Oboist Rebecca McGuire is an active soloist, chamber, and orchestral musician. She currently holds the position of Principal Oboe with the Carmel Symphony Orchestra and is pursuing a Doctor of Music degree at the Indiana University Jacobs School of Music where she studies with Roger Roe and Linda Strommen. In addition to her performances with many of Indiana University’s prestigious orchestras, including its New Music Ensemble and several IU Opera Theater productions, Rebecca has lead the Quincy Symphony Orchestra, Heartland Symphony Orchestra, and Lausitzer Opernsommer Orchestra in Cottbus, Germany. She can also be heard in the University of Texas Wind Ensemble’s recording of Symphony No. 4 on the album Places in the West, Music of Dan Welcher conducted by Jerry Junkin, and in the upcoming Naxos Records album of Henry Cowell’s Symphony No. 7 with the IU Chamber Orchestra, conducted by Arthur Fagen. As a featured soloist, Rebecca performed the Oboe Concerto in D Minor by Alessandro Marcello and the Oboe Concerto in A Minor by Antonio Vivaldi with the Western Illinois University Chamber Orchestra, as well as performances of the G. P. Telemann Oboe Concerto in F minor and Samuel Barber’s Canzonetta for Oboe and Strings with the Freies Kammerorchester Köln, Ensemble 07 in Cologne and Bonn, Germany in March of this year. 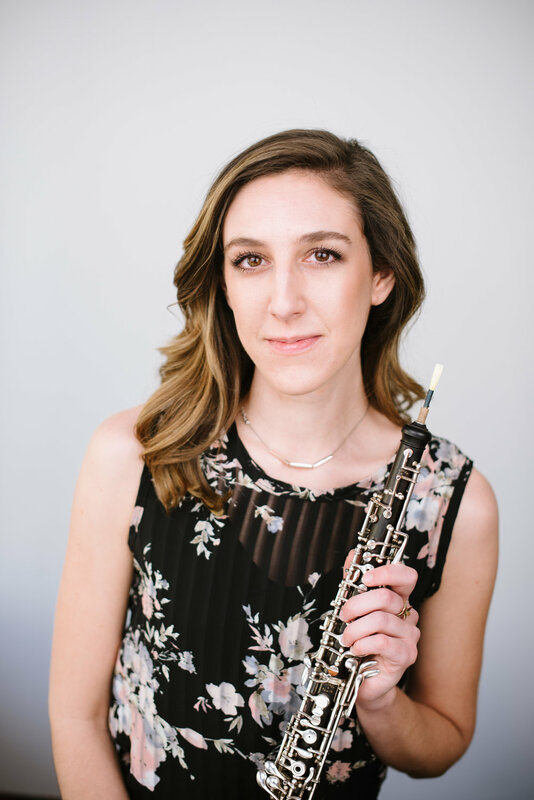 Rebecca holds degrees from the University of Texas at Austin and Western Illinois University, and over the course of her studies has had the opportunity to work with many prominent oboists and pedagogues, including Elaine Douvas, Nathan Hughes, Eugene Izotov, and Frank Rosenwein.